Las Vegas, Nevada – March 26, 2014 – STUDIOCOAST PTY LTD, creator of the Live Production and Streaming Software vMix, has released version 12 ahead of NAB 2014. New features include live 4K support, Twitter and Facebook integration, playback of additional professional formats including ProRes and support for the Matrox VS4 HD input card. “This year we will be showcasing 4K, a first for software based live production” says vMix developer Martin Sinclair, “4K support demonstrates the power available in vMix, even if you’re only using HD”. vMix pricing starts from $55 USD for Basic HD up to $630 USD for vMix 4K. vMix staff will be at the VMIX - STUDIOCOAST PTY LTD booth (C8312) throughout the show demonstrating live 4K production and Twitter integration on a portable production box starting from $7000. Social Media integration is also available through the new vMix Social app. vMix Social enables producers to send Tweets and Facebook comments directly to live on air graphics and lower thirds. Content can be selected from a tablet or smart phone or sent automatically. “Live streaming productions have become increasingly interactive, and social media integration is one of the major things our customers have been asking for” says Martin. Included with this press release is an Ultra HD snapshot of a vMix live production. 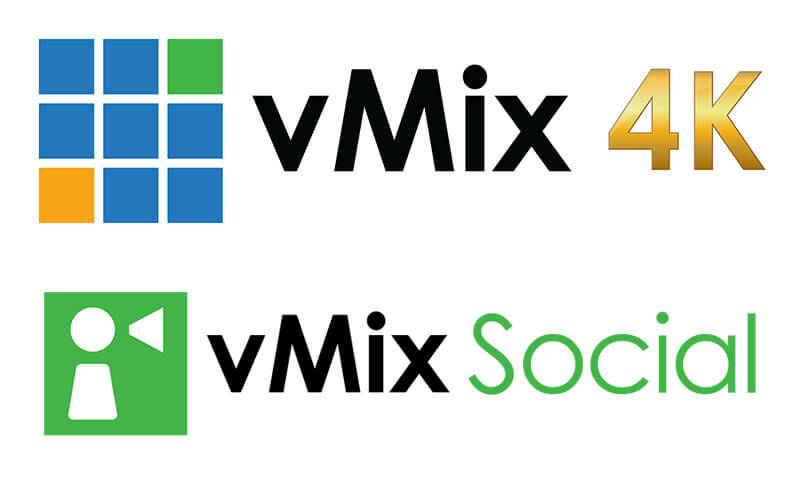 It simultaneously demonstrates both the 4K ability and vMix Social. Hardware support has also been expanded with the addition of the Matrox VS4. The versatile VS4 card enables input of up to 4 HD-SDI sources which can then be mixed together and individually recorded.